Fly to China from your hometown. 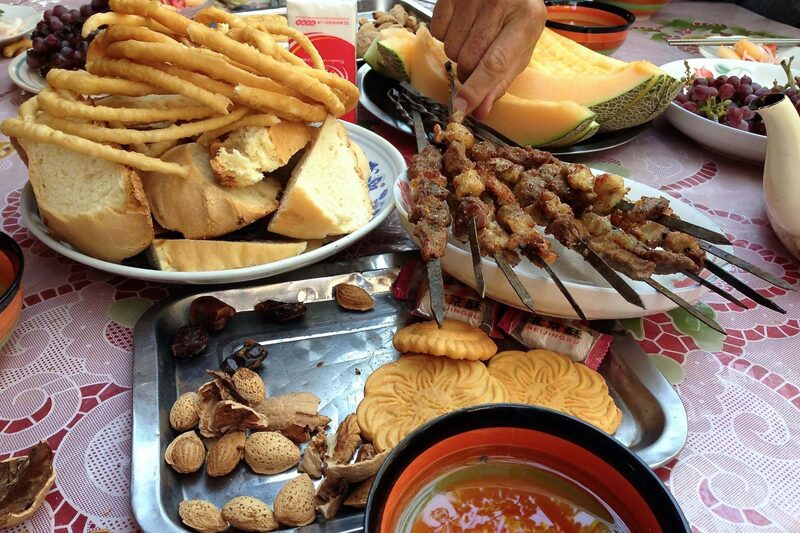 You will arrive in Beijing, the capital of China. Upon arrival, our guide will meet you at the airport and accompany you to your luxury hotel. Enjoy a good rest at the hotel. This morning you’ll board a plane and fly to Xian, a famous historical and cultural city in China. Upon arrival, visit the Small Wild Goose Pagoda, the most distinctive landmark in Xian, and the Xian Museum. You will visit the Terra Cotta Warriors and Horses Museum (Bing Ma Yong), known as the 8th wonder of the world. The whole mausoleum is a cultural treasure vault with large collections of relics. After the Terracotta Army replication factory, visit the Ancient City Wall, the 14th-century wall is one of the most completed city walls in China and certainly one of the best examples from the Ming dynasty. 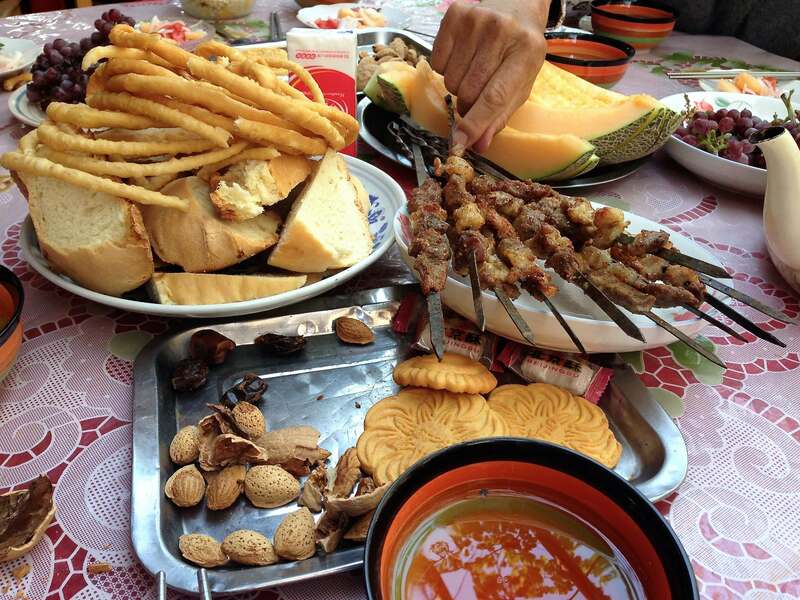 After breakfast, take the flight to Dunhuang. 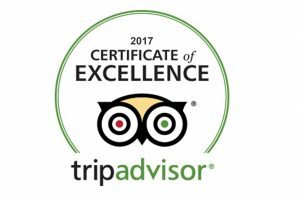 Upon arrival, the guide will meet you at the airport and then transfer to your hotel. 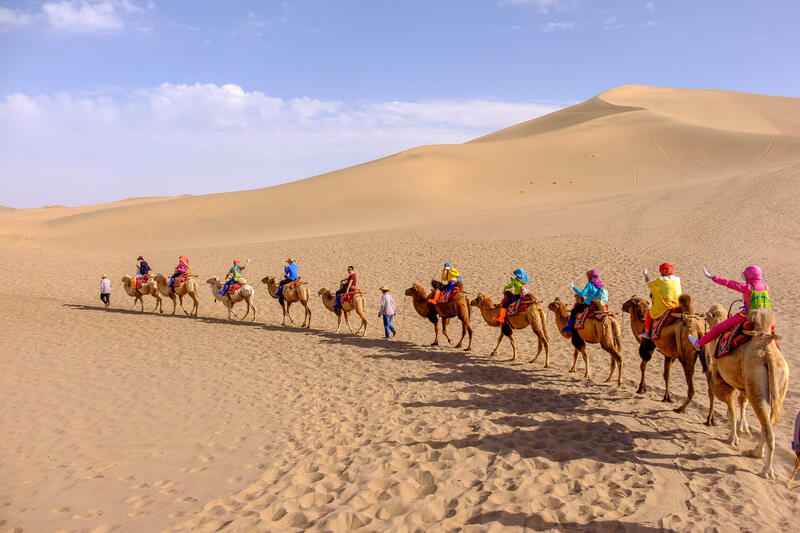 After a short break, experience the desert flavors along with the Echoing-Sand Dune to Crescent Lake by riding a camel. 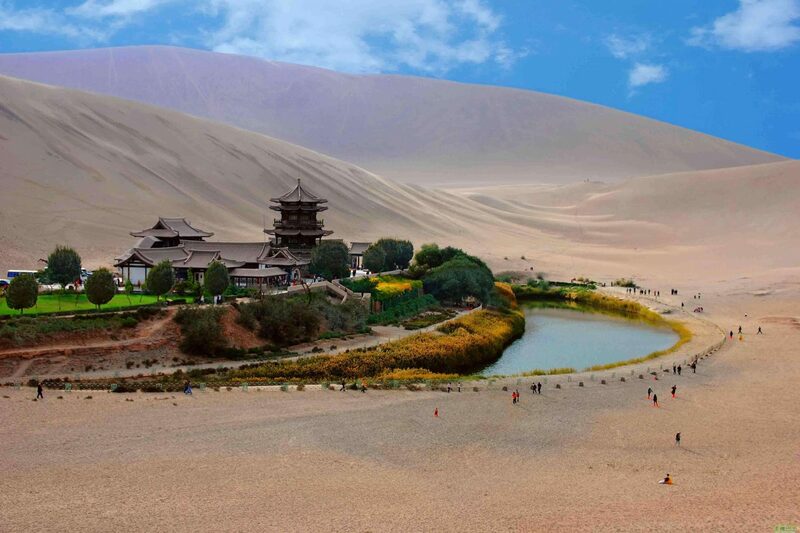 Surrounded by the echoing-sand mountain, the Crescent Lake is a spring in the shape of a half moon. Visit the Mogao Caves (Mogao Grottoes)- the World Art Treasure House. This is one of the world’s most important sites of ancient Buddhist culture. The grottoes, also know as Caves of the Thousand Buddhas, preserve nearly 1,000 years of Buddhist cave-temple architecture, clay sculpture, mural paintings, and manuscripts, dating from the 5th to the 14th centuries. 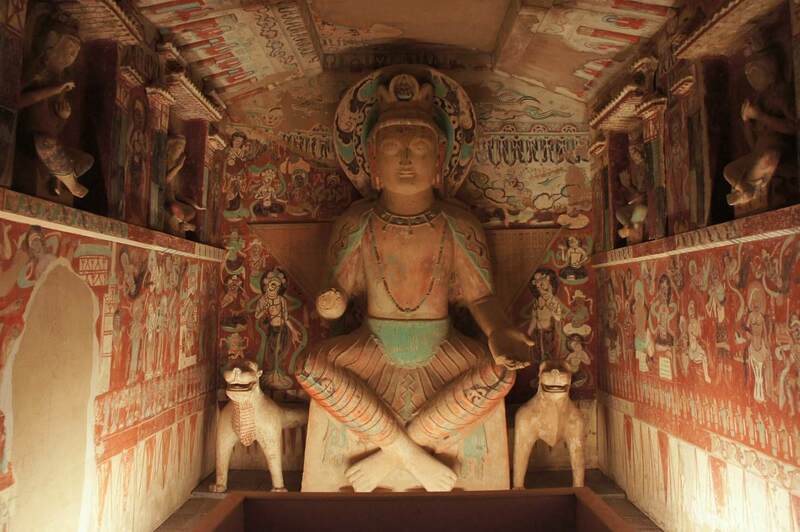 The Mogao Grottoes are carved into desert cliffs overlooking a river valley about 25 km southwest of Dunhuang. The caves vary enormously in size, from tiny single-room cells that served as living quarters for individual monks to huge, cavernous worship halls housing monumental sculptures and mural cycles. Then, take the flight from Dunhuang to Shanghai. Today’s city tour starts with a visit to Yuyuan Garden and its nearby market at Shanghai Old Street. Then take a walk at Shanghai Bund before having lunch. This afternoon, you will experience the bustling shopping district of Nanjing Road and pay a visit to a silk factory, where you can do some shopping. After shopping, spend some free time at the Shanghai Museum. You can easily take a few hours to examine its rich and high-quality collection of ancient Chinese bronze, ceramics, painting, and calligraphy, with special exhibits and collection of 120,000 precious works of art, this museum has become one of the best known in China.